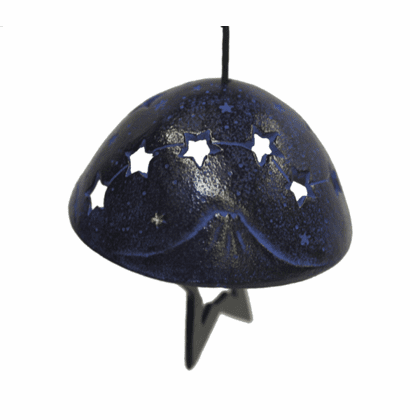 Blue star cast iron wind chime. Makes a soft, soothing tinkling sound. Comes with paper wind catcher in its own box. 2 inches tall, 3-1/2 inches in diameter, star at bottom: 2-5/8". Only $5.95 extra for gift wrap and a card with your personal message.